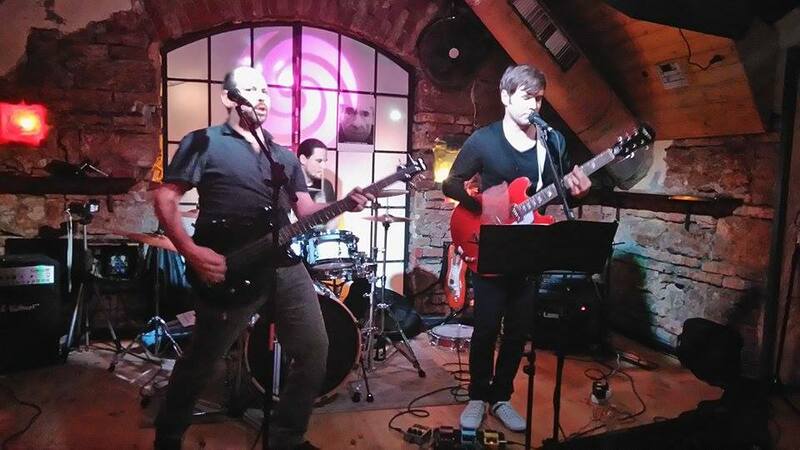 On 27 November 2015 we played a show at Szilvuplé Bar & Varieté in Budapest. The show was special for several reasons. First it was part of a bigger programme entitled the 200-year-old Man. Second this was the first time we played Love's Gonna Be Tender from Saturnine Valentines. Third this was our first concert since Anna Mitropulos had left the band in 2011. In addition, this show was also special because we played four new covers we haven't played before: Love Will Tear Us Apart by Joy Division, Boys Don't Cry by The Cure, I Will Follow by U2, and Panic by The Smiths. Apart from the covers we also played Dawnstar songs: Scarlet, Change The World, In Heaven We Meet Again, Live Today, and Giulia.